Anyone who has driven through any of the famed housing tracts in Palm Springs knows that a funky front door is an essential part of revamping your midcentury porch. We love the three offset windows in this contemporary door—all it needs is a coat of a bold color! Curb appeal starts (you guessed it!) 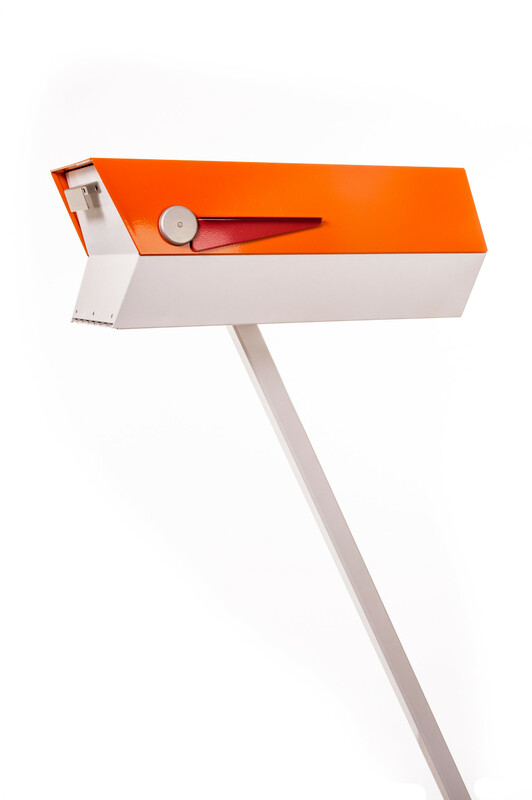 at the curb, and that includes your mailbox. Toss away that old tin monstrosity and spruce up your exterior with a colorful ModBox, which comes in an array of original Eichler exterior accent colors. A bit of plant life can make your entry seem just that more inviting. 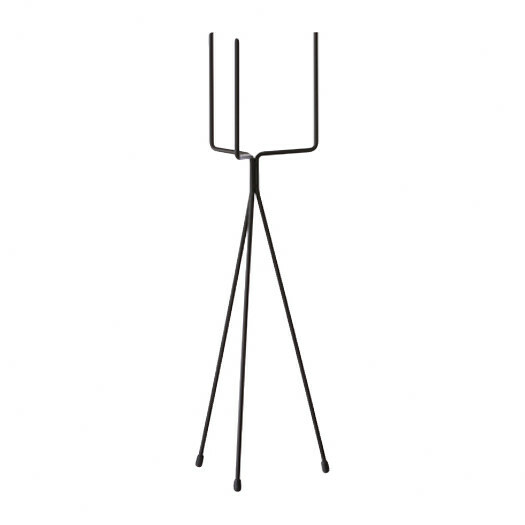 Whether you’ve got a funky pot that needs raising or just a great plant in a terra cotta planter, the Ferm Living Novelty Plant Stand will add some nice height and design to your living decor. Just because it’s for scraping mud off your boots doesn’t mean that a welcome mat can’t have style! 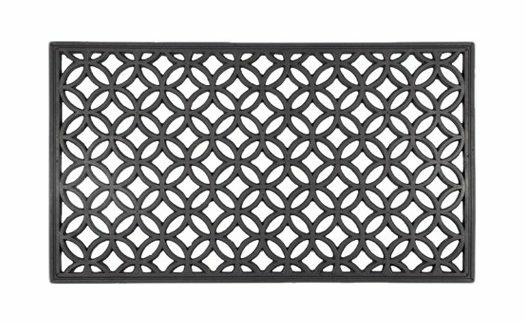 If you love breeze blocks as much as we do, you’ll want this Recycled Rubber Circle Chains Doormat for your midcentury porch. 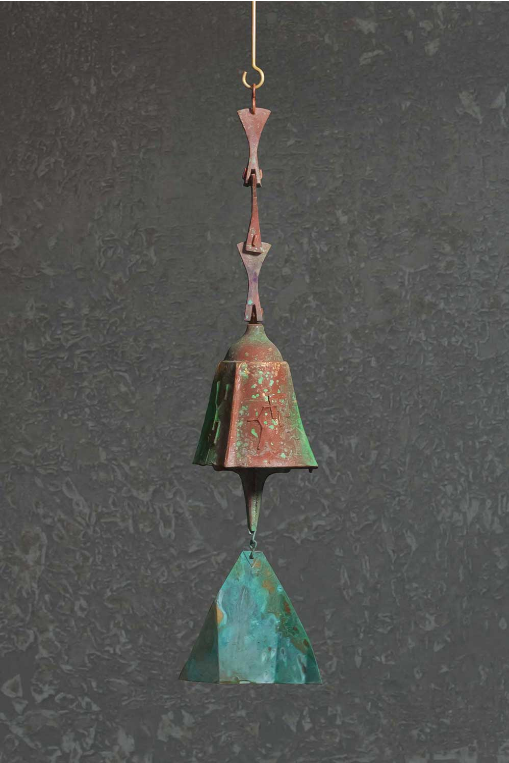 Ever since Paolo Solari started the Cosanti Foundation in 1965, the Arcosanti bells have been a signature piece in desert midcentury communities. And you can have your own unique ceramic or brass wind bell to commemorate Soleri’s architectural and urban planning research. Midmod house numbers are a must for the MCM enthusiast, and there are a ton of styles to choose from. 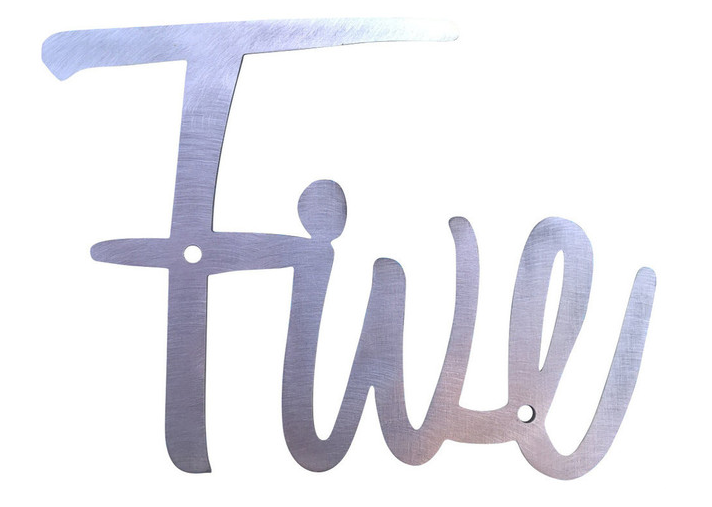 If you want to break the mold a bit, try these vintage script house numbers to lend a distinctly retro flair to your exterior. 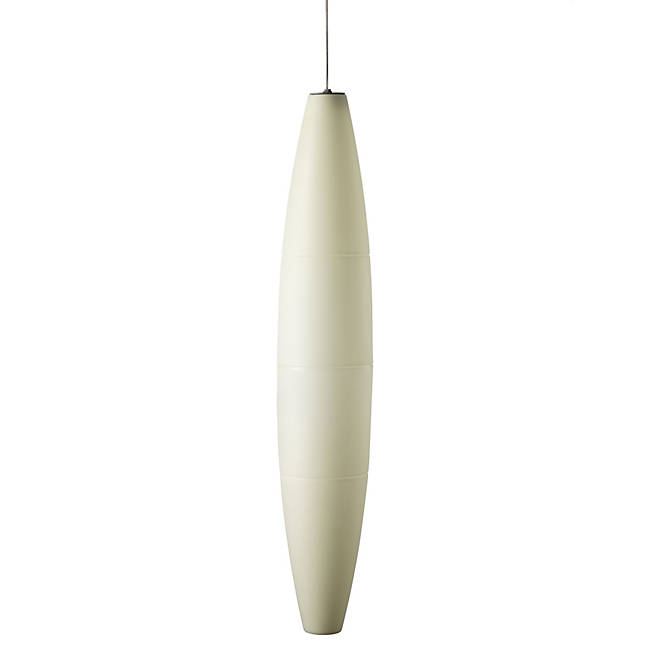 The porch light is one of the easier ways to infuse that midcentury look into your porch, and while the hanging globe pendant is and always will be a classic, the Havana Outdoor Suspension light offers something different while still exuding that Googie appeal. 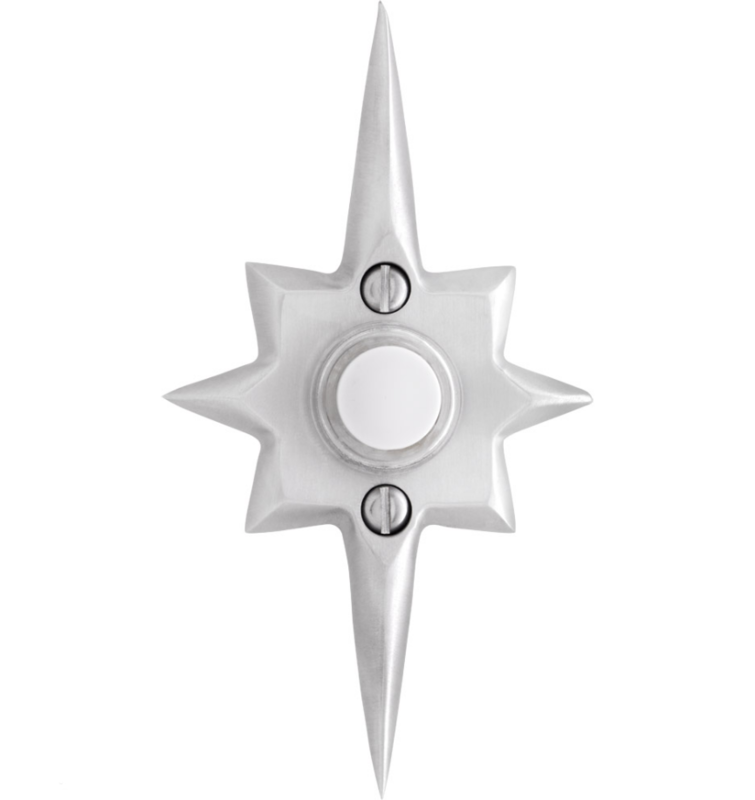 The timeless starburst door knobs are in high demand…and often come with a high price tag. 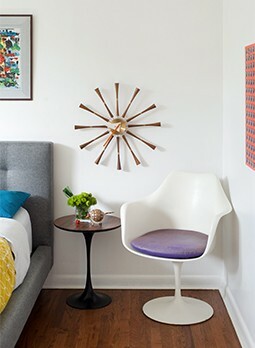 If the door knob is just out of your reach, add a little midcentury stardust to your doorbell instead with the Mid-Century Star Doorbell Button. 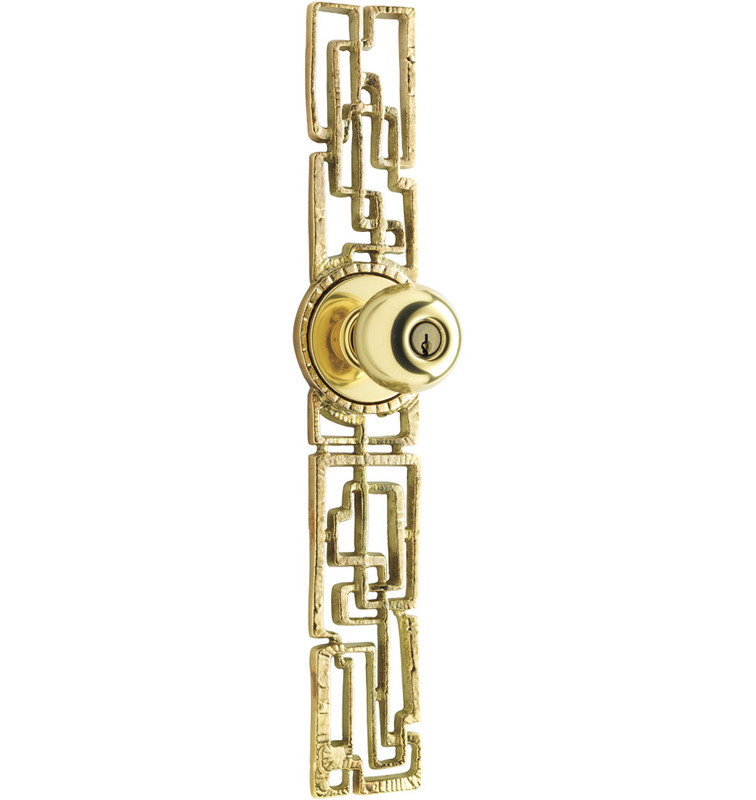 If you do have the cash to spend on a fancy door knob, but the starburst is too mainstream for you, we’ve got just the thing. Awaken your inner tiki god with the Samba Exterior Tubelatch Door Set and you’ll be the king (or queen) of the curb!